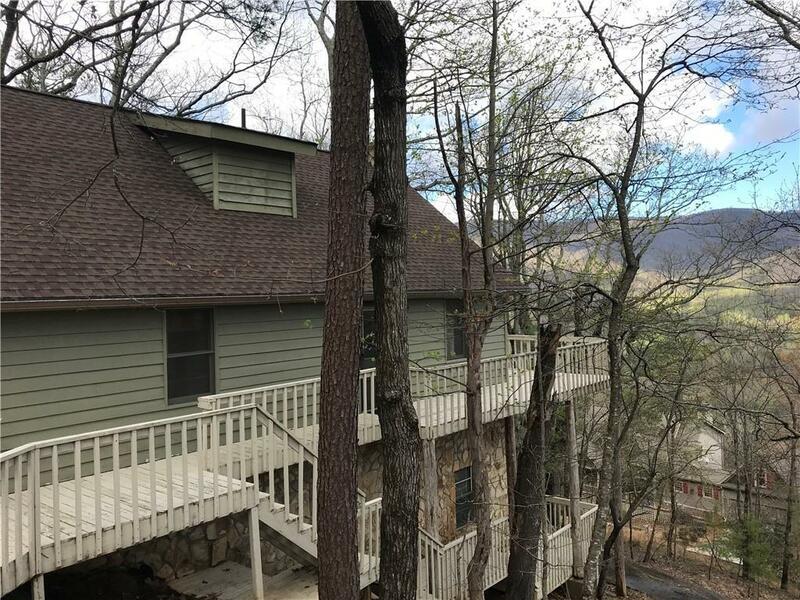 Beautiful Mountain Cabin on 3 combined lots with fantastic views of the mountains. New engineered Hardwood Floors, ducts recently cleaned. Lots of room in the unfinished basement to expand. Basement has a wood burning stove that is vented through the chimney. The area would be a great game room. The kitchen is opened to the Great Room and Dinning Room. Small laundry area on the main floor also laundry area in the basement. Perfect for a weekend or full time home. Close to back gate, easy access in and out. Owner out of town . Water turned off.